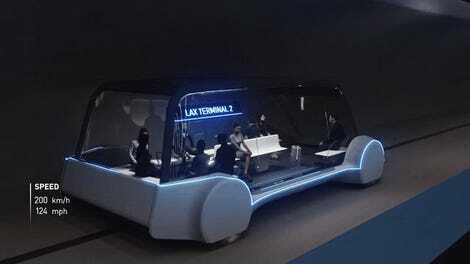 The Boring Company has been a fly-by-the-seat-of-Musk’s-pants operation from the moment he was stuck in L.A. traffic and tweeted his epiphany that the solution is underground tunnels. Since then, it’s been hard to keep track of what’s real, what’s a pipe dream, and what’s a joke. Not only is the company working on tunnels in LA but it has deals for projects to whisk pedestrians and cars underground in Washington, D.C., and Chicago. But the cancellation of the Westside tunnel project is a major blow to Musk’s grand plan in the City of Angels. The Los Angeles Times reports that the project’s demise began shortly after the Boring Company obtained a preliminary exemption to skip California’s environmental review process and start digging. The city’s authorities have been friendly to Musk’s plans, but a group of residents in the Westside area filed an environmental suit in May alleging that the tunnel violates state law. The crux of the group’s argument was that the Westside tunnel is part of a larger project that the company outlined with a map late last year. According to the suit, California law forbids the approval of individual facets of a larger project, stating that a full environmental review can’t “be evaded by chopping large projects into smaller pieces that taken individually appear to have no significant environmental impacts.” Yes, there’s a certain irony to Musk trying to get around environmental regulations when he spends his days trying to kill the fossil fuel industry and curb global warming with an electric car revolution. The Dodger Stadium project hopes to connect a Metro Subway station to the baseball stadium with a 3.6-mile tunnel. Sixteen passengers at a time will climb into pods that travel 150 mph on a high-speed rail, according to the company. 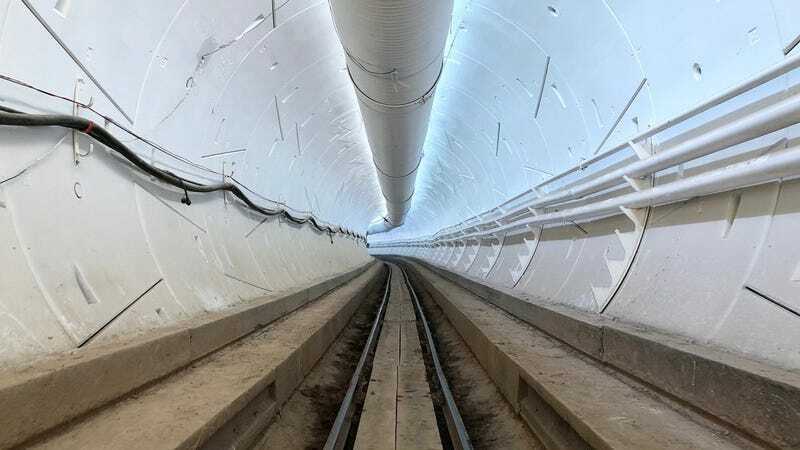 Musk has also announced that a tunnel running a little over a mile beneath Hawthorne will open to the public on December 10, and Angelenos will be allowed to come and take free rides. The Westside group’s legal argument does not bode well for Musk’s vision of a citywide traffic solution in LA, but for now, it seems he has some piecemeal projects to keep him busy. We really don’t need an impulsive billionaire with his own underground lair to find a reason to take revenge on a society that doesn’t understand his genius.